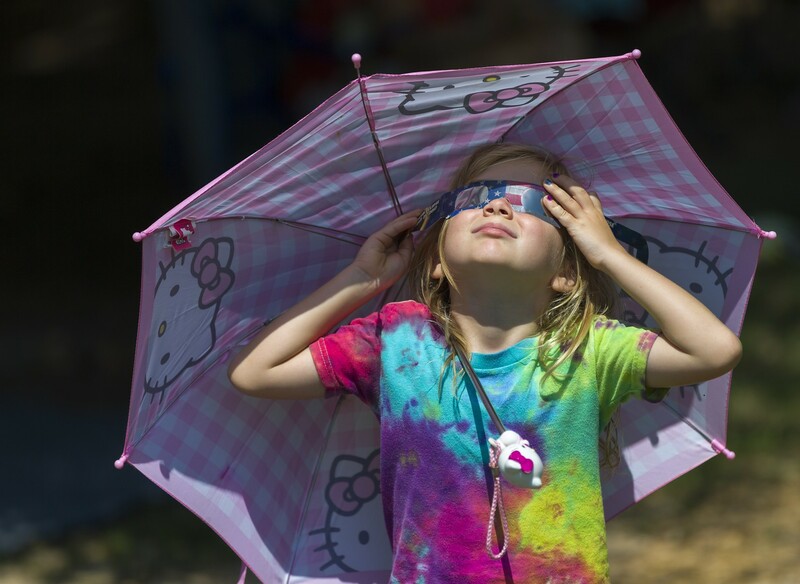 Leah Brown, center, enjoys the solar eclipse at North Raleigh Park. 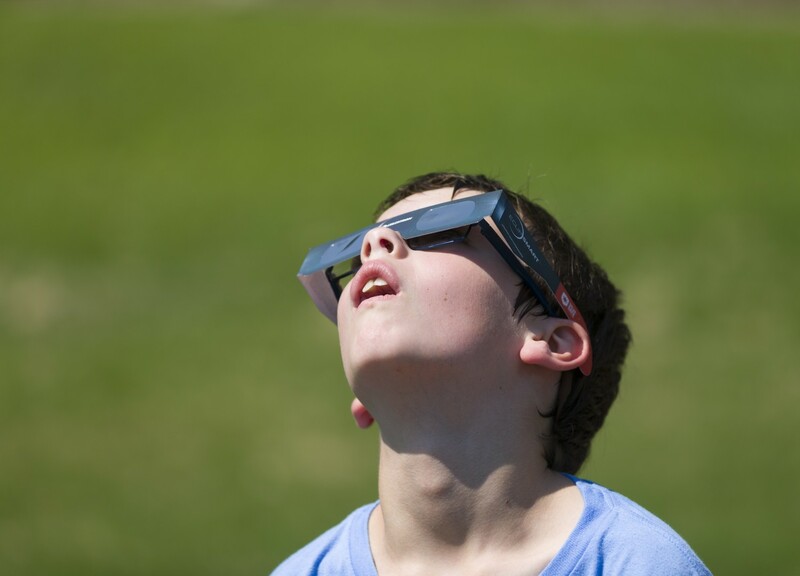 Using a pair of binoculars, T.J. Hill of Cary projects and magnifies an image of the solar eclipse on a piece of foam core. 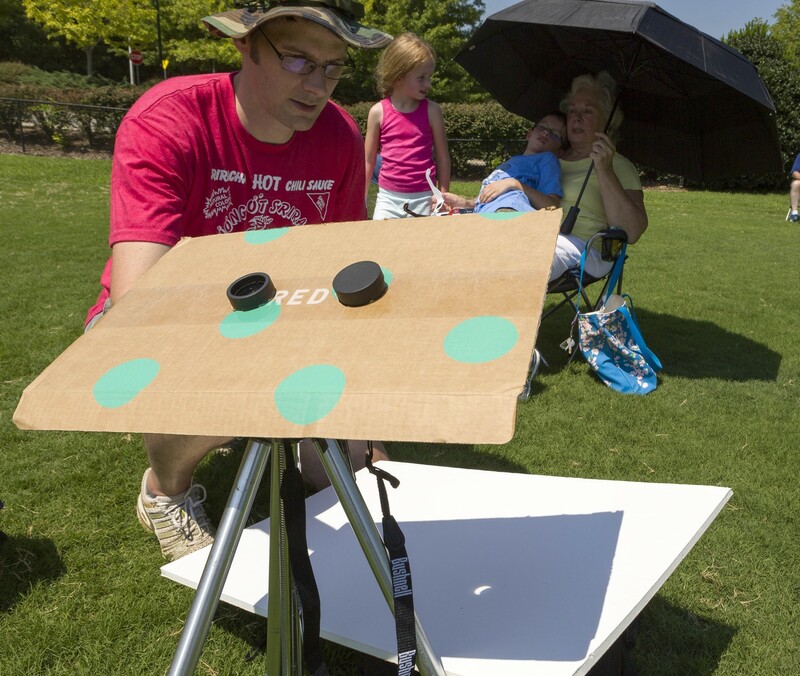 Hill tried out his pinhole camera at North Cary Park, where he and his family joined others for the historic event. 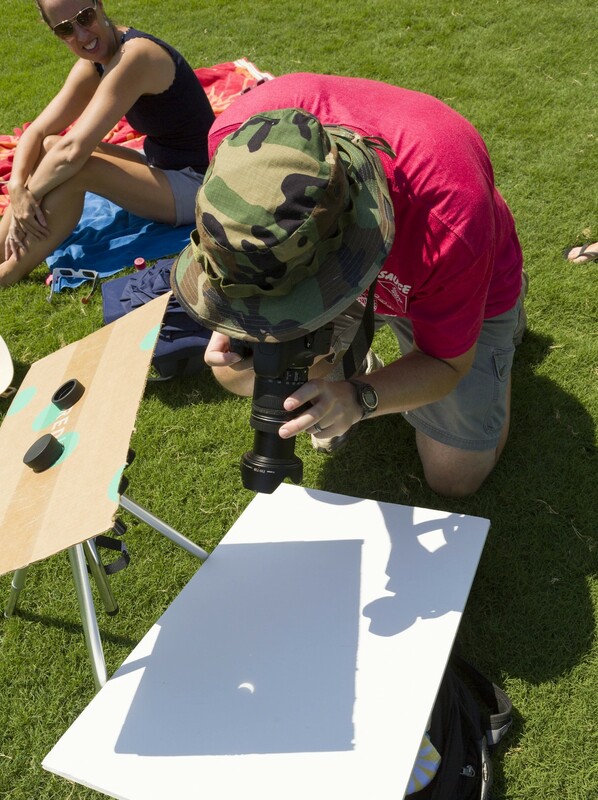 T.J. Hill of Cary focuses on the solar eclipse as projected and magnified by binoculars on a piece of foam core. 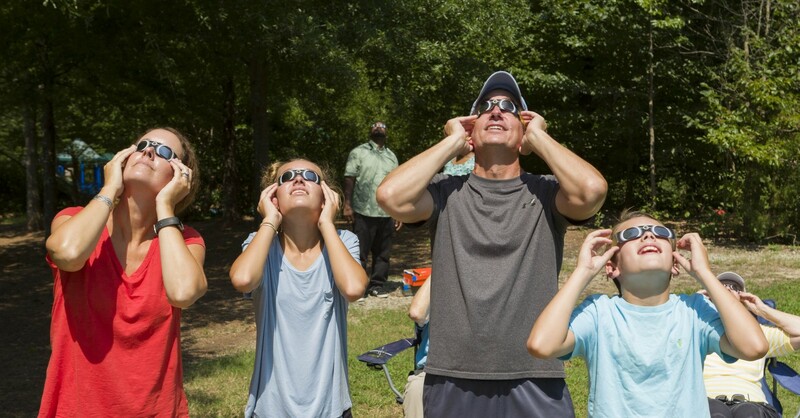 Hill tried out his homemade pinhole camera at North Cary Park, where he and his family, including wife Jennifer, joined others for the historic event. 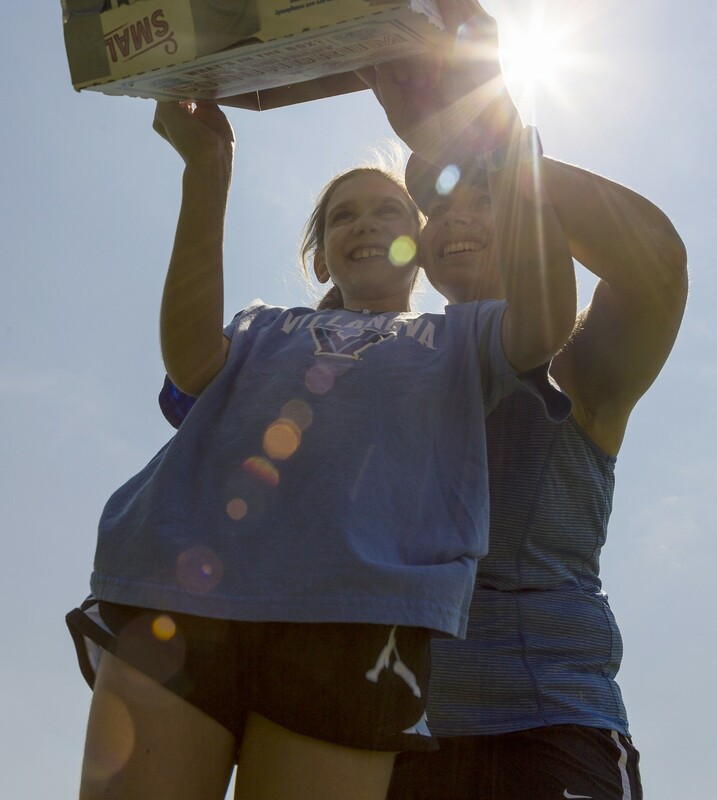 Erin Curtis and mom Kelly view the eclipse through a box they converted into a pinhole camera. 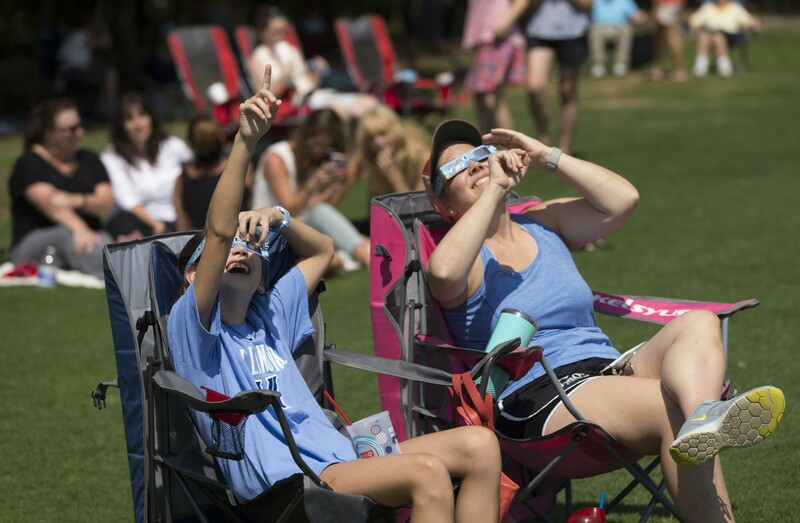 Many people donned their eclipse glasses at North Cary Park Aug. 21 to witness the solar eclipse. 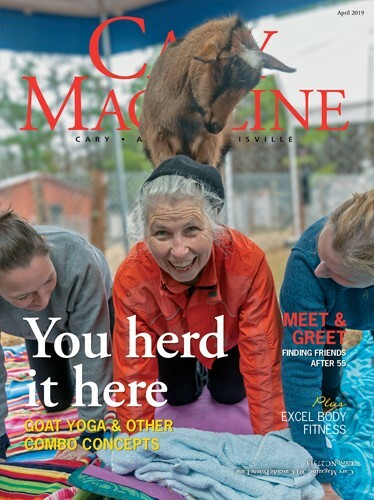 From left, Cary family Kristin Sierenaler and Kara, Ron and Nick Van Arnam. 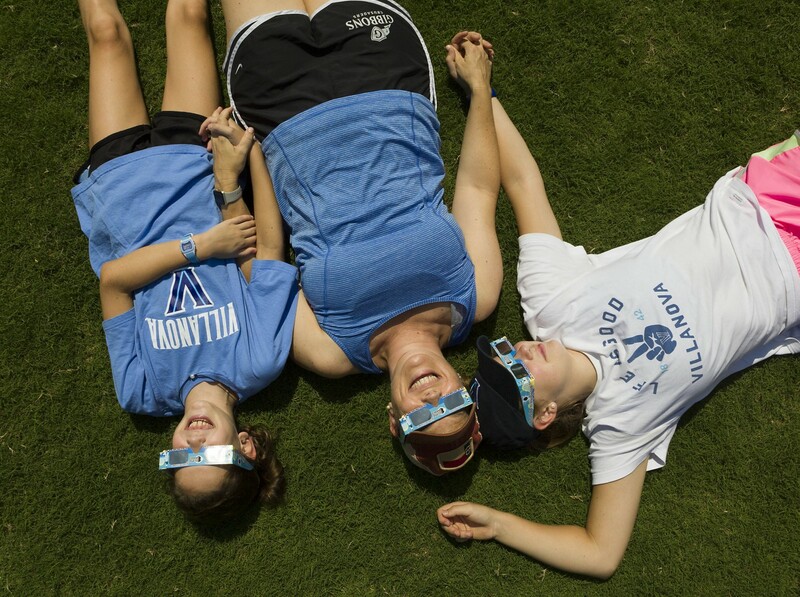 Kelly Curtis of Cary, center, lies on the grass with daughters Erin, left, and Emily, ages 11 and 17, during the solar eclipse. 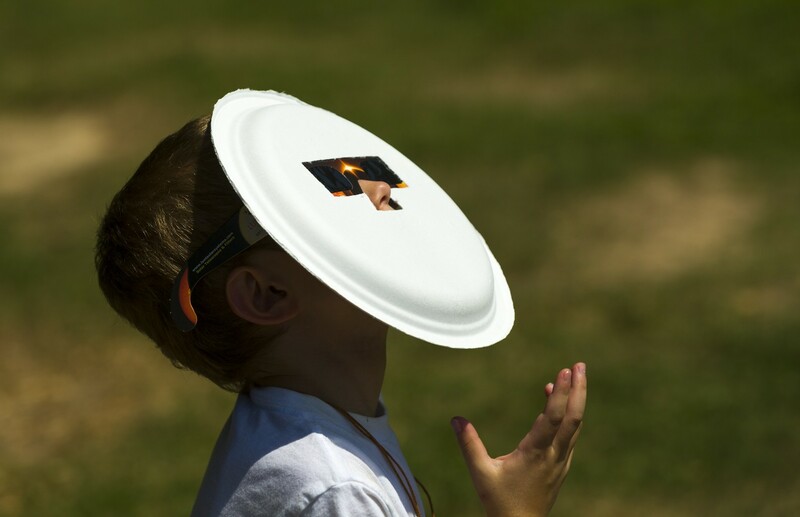 Eclipse glasses attached to a paper plate provided extra layer of safety. Lauren Out, 5, arrives well prepared for the sunny event. 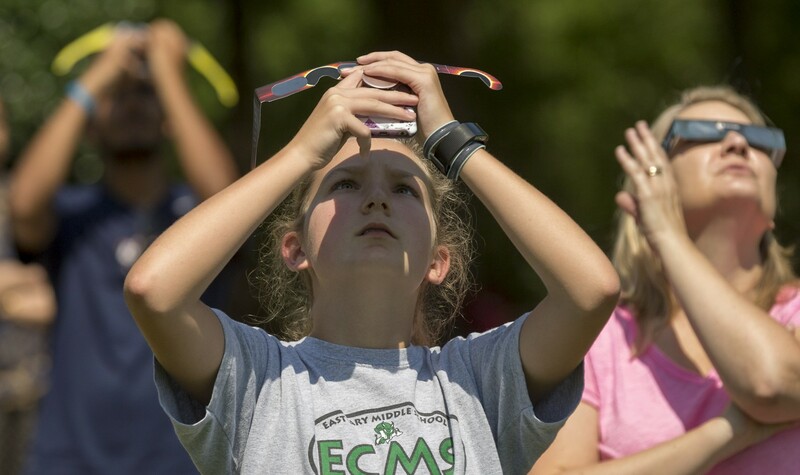 Many people donned their eclipse glasses at North Cary Park Aug. 21 to witness the solar eclipse. 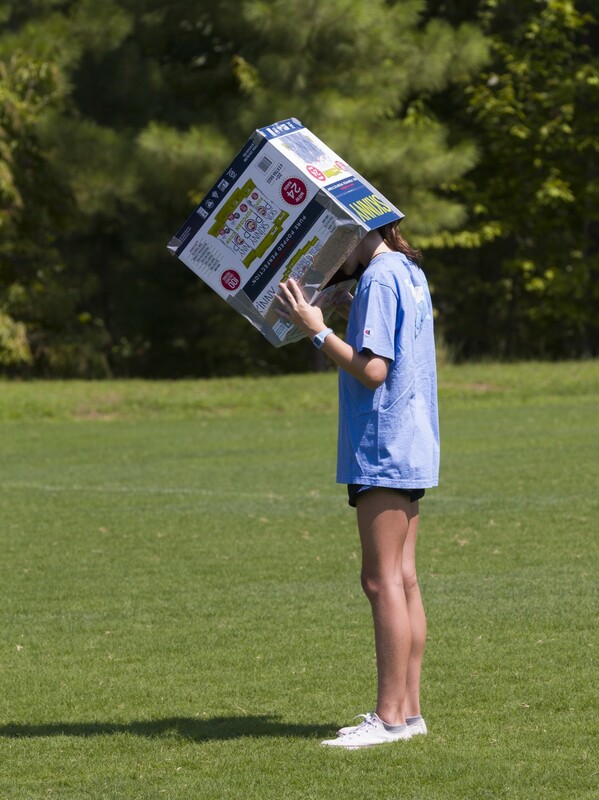 Homemade pinhole cameras provided a safe way to view the eclipse. 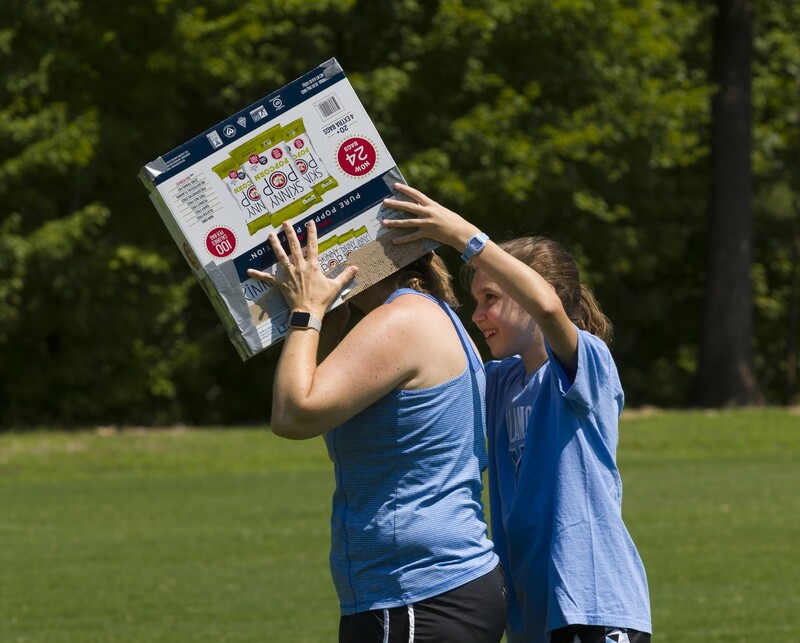 Erin and Kelly Curtis of Cary enjoy the eclipse at North Cary Park. 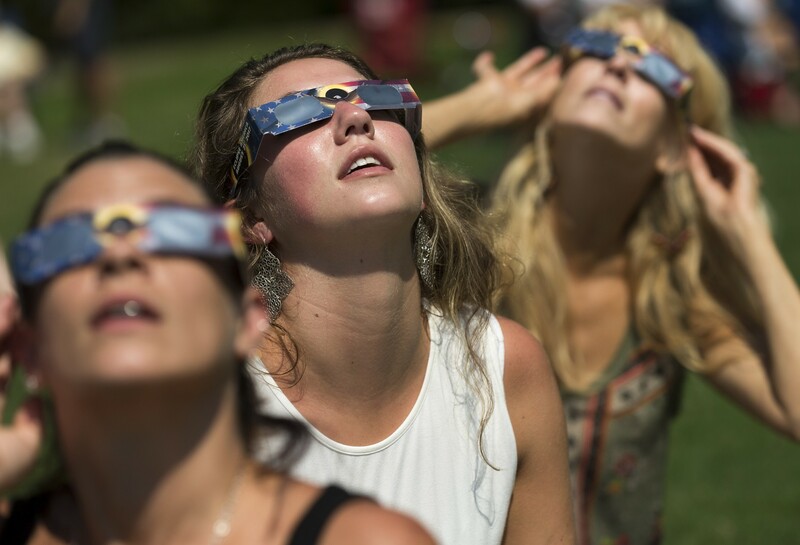 A viewer covers the lens of her cell phone with eclipse glasses in an attempt to take a photo of the eclipse.